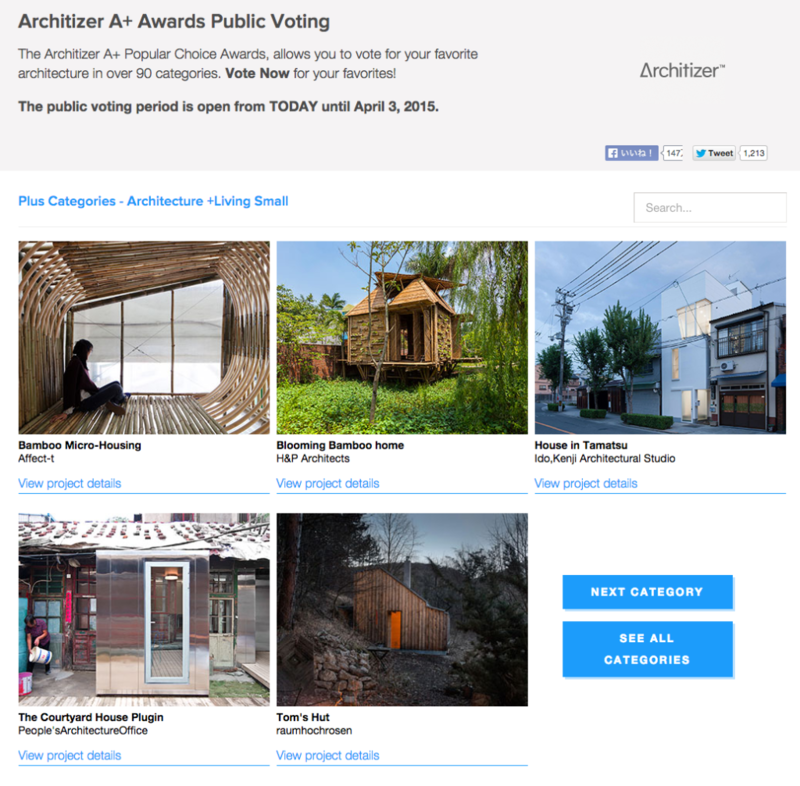 My work ‘House in Tamatsu’ has been selected as a Finalist in the Architizer A+ Awards for the Plus Categories, Architecture +Living Small category. Public Voting starts March 17th and ends April 3rd. Please go online and vote for my work!